A huge thank you to all those of you who so kindly donated your time or hard-earned money to our Big Tidy at Bristol’s Hop Skip and Jump respite centre over the weekend. 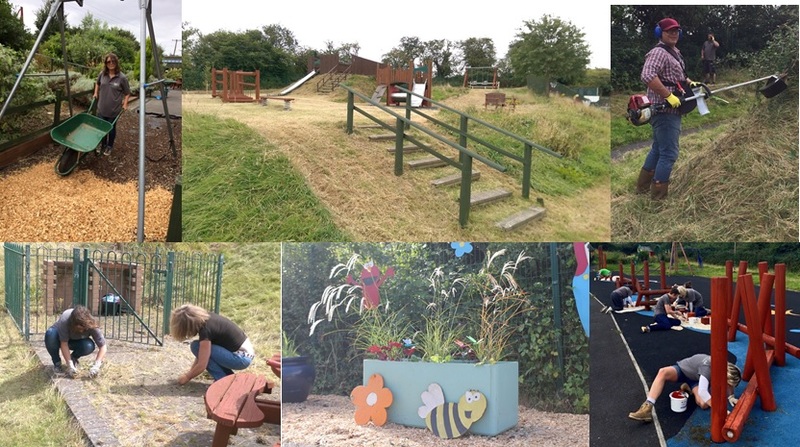 Thanks to you, over the two days we were able to restore the outdoor play spaces back to their former glory whilst providing a large shed to store the centre’s bikes and scooters, bark chippings for the play areas and extra toys for the children to enjoy. We’d also like to thank the wealth of companies who donated plants, planters, paints, compost, time as well as food for all the kind volunteers – Genus Plant Sourcing, Iota Garden and Home, Davies of Bath, West Kington Nurseries, Bathford Nurseries, Tesco Bathwick Hill and Chew Valley Trees. We’d couldn’t have done any of this without you and are now on the case to make sure that the space continues to offer a safe, supported environment for years to come for children with disabilities throughout the region.